Training Reimbursement Program Policy — Foxhole Technology, Inc.
Foxhole Technology provides Full Time Employees $2,500 per calendar year (January 1 - December 31) for Training and Certification that directly relates to, or enhances, the skills you provide in your position with Foxhole Technology. This program DOES NOT reimburse for organizational membership dues, even if membership is required for training and/or certification/recertificaiton. A training request must be submitted for each training course and or certification/test you are requesting. Requests you make collectively for training/certification/recertification tests must not exceed the maximum allowable amount of $2,500/year, per employee. The training must align with the job responsibilities for your position. The requested training must be officially approved by the Program Manager for your contract, via the iCIMS portal, before signing up for any training and/or certification/tests. You must be employed by Foxhole Technology at the time of completion, and for the stated timeframe – based on the dollar value of the Training/Certification/Recertification for which you have been reimbursed, or you must repay Foxhole Technology the FULL AMOUNT of the Training/Certification/Recertification received, based on your Training/Certification/Recertification completion date and your end date with Foxhole Technology. This repayment policy is enforceable, and failure to repay will result in legal action and/or liens that can adversely impact your credit rating and/or your security clearance. You submit an expense report, via JAMIS, complete with proof of successful completion/certification and all receipts. All training and certification/recertification, and/or tests, must be approved by the Program Manager for your contract PRIOR to enrollment to qualify for reimbursement. Once you have submitted your Training and Certification request via the iCIMS portal, your Program Manager will Approve or Not Approve your request, also via the iCIMS portal, and you will be notified of the action. If approved, you may sign up for the training and/or certification test. Training and/or certification/tests cannot interfere with, or impact, the weekly billable hours required (40) to maintain FTE status with Foxhole Technology and the client. If you are in training during the duty day, or missing work to take the training/test, you will need to take PTO for that time, as this is not allowable under the Training and Certification program. When choosing a training course and/or test that is not online, please be sure the institution is local to your commuting area, as travel, parking, lodging, etc. expenses are not allowable under this Training and Certification Program. You must submit an expense report via JAMIS once you have successfully completed the training and or certification/test. The expense report must include the following attachments: 1) proof of training and/or certification completed; and/or copy of certification received; and 2) receipts for costs incurred. All training and/or tests must be successfully completed, and with expense report submitted via JAMIS by December 15 to qualify for reimbursement. You must successfully complete the training and pass all certification tests required. NOTE: Foxhole Technology only pays for ONE test. If you fail to pass the first time, subsequent tests will be your own expense. Once you have submitted your expense report with all required attachments, you will receive reimbursement for your expenses (up to $2,500 per calendar year). Additional expenses/receipts submitted that exceed the $2,500 maximum will not be reimbursed. Within 30 days of completion of training and/or certification/test you will receive a link to a form to rate the training and or certification/test. 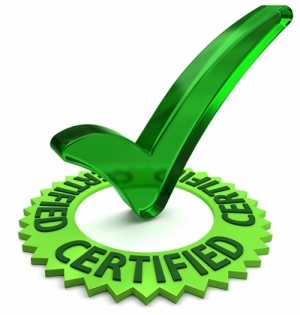 Once submitted, your PM also submit their Evaluation of Effectiveness of the training/certification related to your job. You must remain a Full Time Employee for up to 12 months, dependent on cost, after successful completion of the training and/or certification. Training under $500 does not require repayment. If you depart Foxhole Technology prior to the payback schedule specified below, you must repay, in full, the total cost of training and/or certification Foxhole Technology has reimbursed to you, based upon your completion date and last date of employment with Foxhole Technology. This repayment policy is enforceable, and failure to repay will result in legal action and/or liens that can adversely impact your credit rating and/or your security clearance.